Fun, Excitement and Laughter for the whole family. 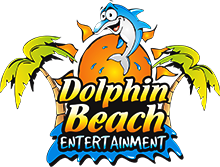 So, if you’re looking for things to do in Jeffreys Bay and fancy a day out, make sure you visit Dolphin Beach Entertainment. Please complete this form for general enquiries only. Do not use this form for Birthday Party/Group Reservations. Our travelling amusement park which service the Northern, Southern and Eastern Cape of South Africa. With twelve different rides, the funfair is sure to attract both young and old – making Fun4u excellent in helping schools with fundraisers. The funfair is also available for church fundraisers, festivals and shows.